If you're anything like us, your camera roll is in some need of some attention. Follow these simple steps though and you'll be well on your way to a more organised photo library. The post Organise Your Digital Photos appeared first on blog. The chances are that you’ve encountered the dreaded message that “your phone storage is full”! Que frantic deleting of shots that are deemed no longer important. Everybody loves to be snap happy when they are away on holiday or seeing friends, but keeping your favourite images hidden away on your phone is a crying shame. Your memories deserve a space away from the confines of your camera roll, and that’s where we come in! On iPhone and iPad there are a number of photo albums already set up and ready to store your precious images. Take a look through your iPhone and you will notice albums for Panoramas, Selfies, Slo-mo, and Time Lapse. 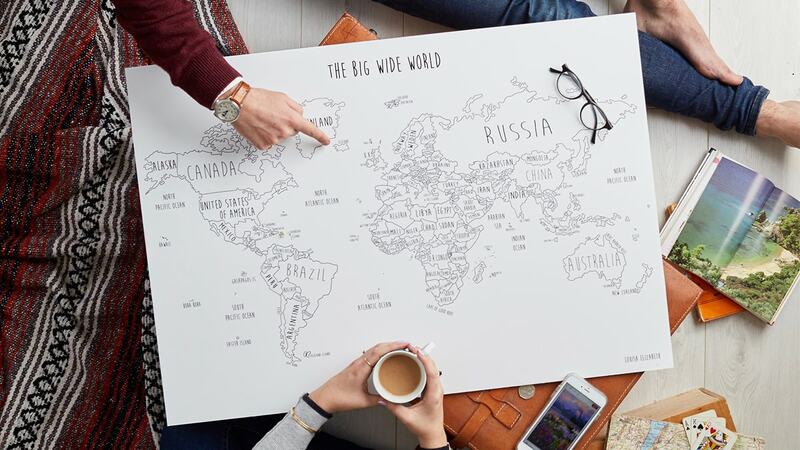 You can even look at your photos arranged on a world map in the Places album, or browse your photos based on who’s in them in the People album. Super easy and done without having to move any of your images around. On iPhone and iPad there are a number of photo albums already set up and ready to store your precious images. Take a look through your iPhone and you will notice albums for Panoramas, Selfies, Slo-mo, and Time Lapse. You can even look at your photos arranged on a world map in the Places album, or browse your photos based on who’s in them in the People album. Speaking of the People album, there’s no better way to easily find your friends and family. This album will automatically detect your friends and group them together so that all you have to do is go in and approve the set of photos it has categorised. Super easy and done without having to move any of your images around. If you are using an Android device, simply touch the Create Album button and type a name for the album. Press the OK button to confirm the title and then start adding your images into the folder. In this little-known section of your iPhone you can view shared album activity, and receive ideas for adding filters and effects to certain photos. The For You section also works alongside Memories to present you with photos and videos which focus on previous events, trips away, people and other landmarks from your collection. This helps you rediscover those special moments you have saved on your camera roll. It is relatively easy to search for a person or landmark on your mobile device. Tap the Search tab, then enter a term in the search bar. Places – The map brings up all of the places you have been where you have taken an image. Simple type in a location name and al the images from that place in the world you have visited will show up. Things – The camera roll is clever enough to recognise places and objects. Search for a term like “river” and then select a category result to see all of your photos that match. Events – The search function allows to search for an event you have attended… For instance, you could find images form a concert you attended a few months ago, or pictures from a holiday. Perhaps you’ve taken a live photo accidentally, or the lighting is really bad, maybe your shot is just plain blurry, always review your snaps following a holiday and cull the ones that aren’t up to standard. This will save ample phone memory and leave you with the special shots you really appreciate which could be suitable for framing. Quite simply, hit the star button below the photo, and it will be placed into the favourites folder which is already present on your phone. This is the quickest and easiest way to store your favourite captures. If you do have access to a PC or Mac, it is much easier to arrange your images via a USB cable. When working on a desktop it is simple to drag and drop imagery files into their relevant folders. We have created a full guide on the differences between image organisation on a Mac and PC. Please Click Here to find out more. Google photos arrives standard on android devices, but it’s also available for IOS users. The great thing about Google Photos is that it boasts unlimited cloud storage across multiple devices. The app can be set to automatically back up and sync your photos so you can remain safe in the knowledge that your snaps are safe. With google often adding fresh updates to the app, its likely to prove useful for many years to come. Again, Flickr is available on both android and IOS, Flickr has been around for quite some time and offers a good deal in the online photo storage business, this photo management app will hold 1,000 photos online for free. At the same time, should you wish to go premium, Flickr offers perks such as unlimited storage at full resolution, and support for videos at up to 10 minutes in length. Flickr includes automatic uploading, as well as smart search features. That means that organisation isn’t as dependent on users manually tagging each photo. Did you know that Facebook has its very own Moments photo sharing app for both IOS and Android? Although this app is less about the storage and management, it provides an easier platform to share your images with both friends and family. The software can use facial recognition technology to identify which friends are appearing in your album, this is particularly useful when creating shared albums which everyone can access. Even better, it does have unlimited storage for photos so what’s not to love. Amazon tend to be able to offer consumers all sorts of perks and it’s not a surprise to hear they can help with photo management for both IOS and Android. Originally only available to those using Prime, nowadays Prime members are entitled to unlimited cloud storage on digital photos, whilst they receive 5GB for video and document storage. Meanwhile, if you don’t have Prime you can still get 5GB for photo and video storage as a free member! The app automatically syncs so your photos can be accessed from any device with an internet or bluetooth connection. Those on Prime can also open a shared drive with fellow family members. Whether you use Android or iPhone, be sure to utilise the cloud for your snaps, this not only protects your precious memories should your device go missing or breaking, but will also free up memory on the phone. An external hard drive can be useful too… But we don’t want those special memories to sit on an electronic device forever do we? The shared albums folder is an extremely useful addition to your phone, say for instance you have a big birthday party, everyone who came to the party can add images to the folder and view the pictures taken from the event. Should you have an image or video you wish to share, simply tap the share icon and place it in the appropriate shared folder. Up to 100 people can access a shared folder, they can like and comment on the images within. Anything that gives us an excuse to print out and frame shouldn’t be left on a phone for the rest of time, they deserve to be proudly showcased in the home. Using your mobile, upload an image to our design studio, pick your preferred frame and we will craft your bespoke frame and high-quality print in no time! Read our full how to guide HERE on how to get the most out of our design studio. The frame designer couldn’t be any simpler to use. We would advise visiting the website on your mobile phone, hit the upload button when prompted which will then access the camera roll of your phone, pick an image and you’re done, from phone to frame in just a matter of minutes. There are numerous advanced settings you can tweak as well to create the perfect picture frame. The freedom of choice is yours. Mother’s Day is nearly here and it’s the perfect opportunity to show your appreciation. Framing something personal (whether it's a digital photo or their favourite cooking recipe) is an easy and thoughtful gift. To get you started we've put together a list of our favourite things to frame. The post Easy & Elegant Mother’s Day Gift Ideas appeared first on blog. If you can get hold of some old photos from your mum’s younger years it would open up the possibility of creating a multi opening frame. 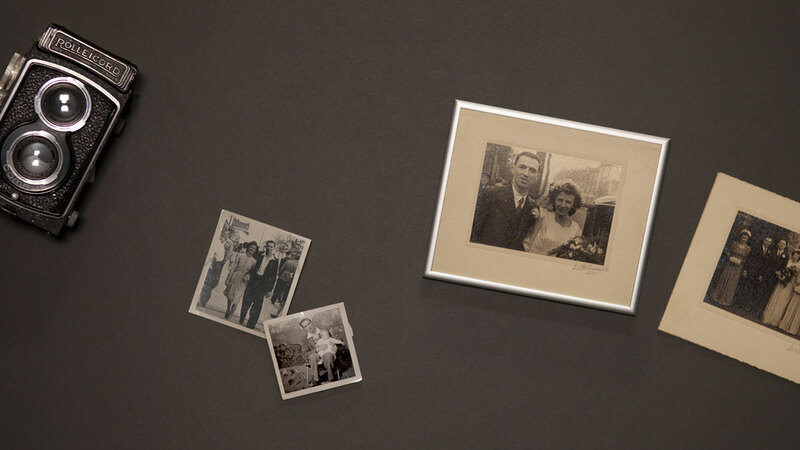 You can fill the frame with images from your mum’s past (think throwback photos, early family imagery, or past adventures abroad). Look for the photos that’ll bring back their favourite memories. If you wish to get really creative you can sketch a design and our team of skilled framers will craft the desired openings you require. 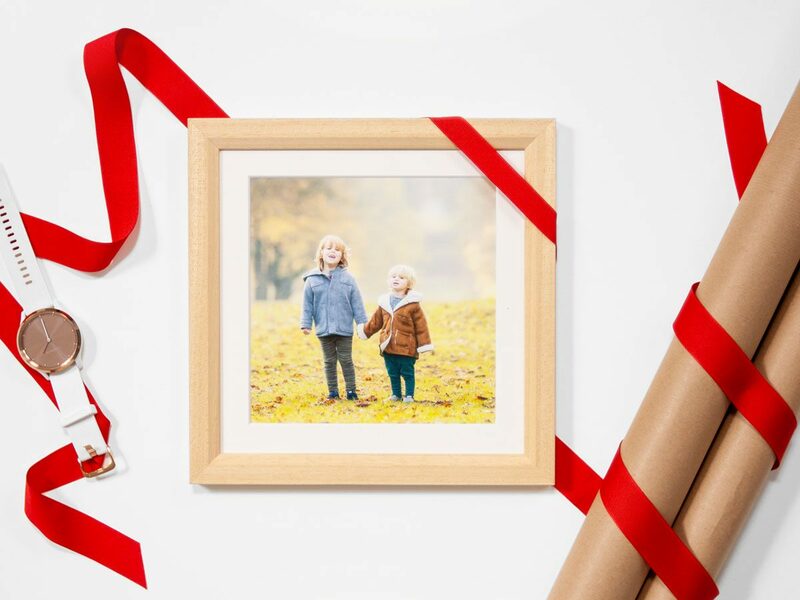 We’ve made custom framing your favourite digital photos so easy. All you have to do is find your perfect frame and upload your photo direct from your phone, tablet or PC. You can can then see your image framed to make sure you’re happy. It only takes a few minutes, but is sure to bring a giant smile to mum’s face when March 31st arrives. Arguably the simplest idea of all, but one which will really work with the right frame choice. Great memories to frame can centre upon family holidays, weddings and graduations. 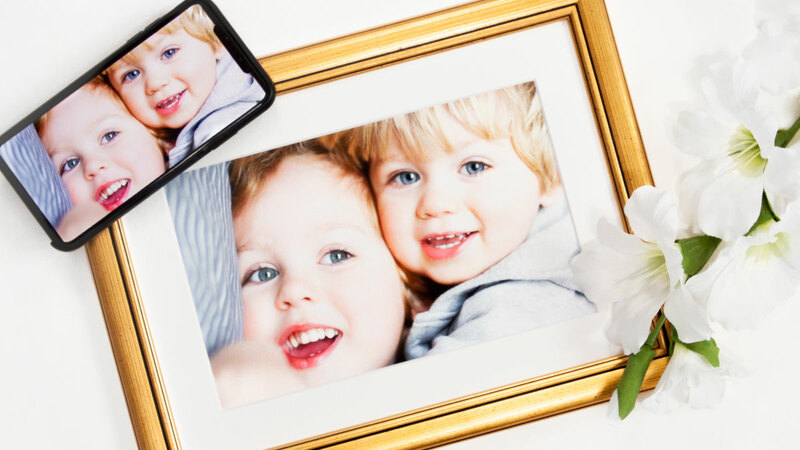 Our online Frame Designer app gives you the freedom to create a frame worthy of your family pictures. You can tweak your frame and picture to your heart’s content. 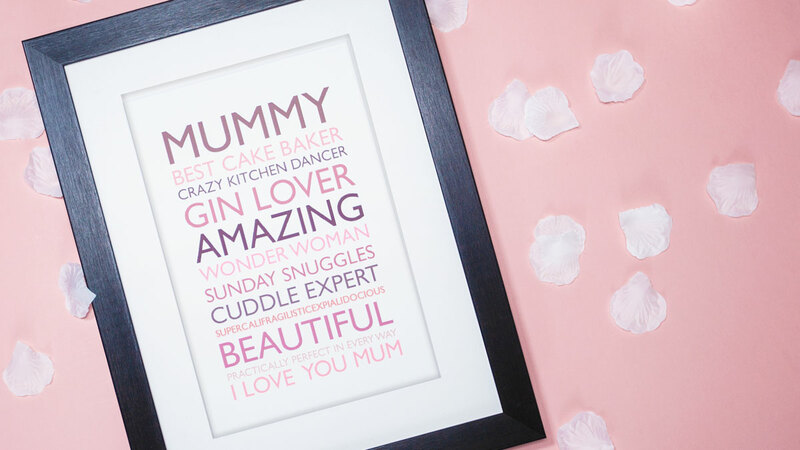 An inspiring poem or personalised piece of word art are great pieces to frame. This can be something with sentimental value or something that’s just plain funny. 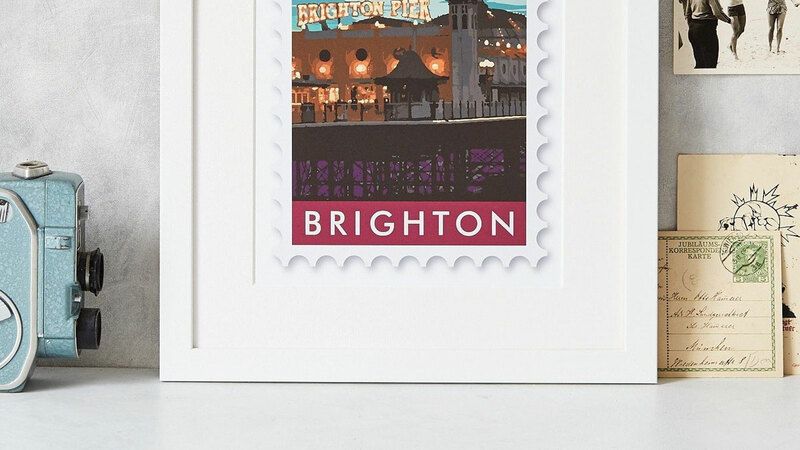 One of our favorite places to shop personalised art prints is Not On The High Street. Perhaps you have fond memories of the apple crumble your mum used to make, or maybe you can happily recall baking cookies together. 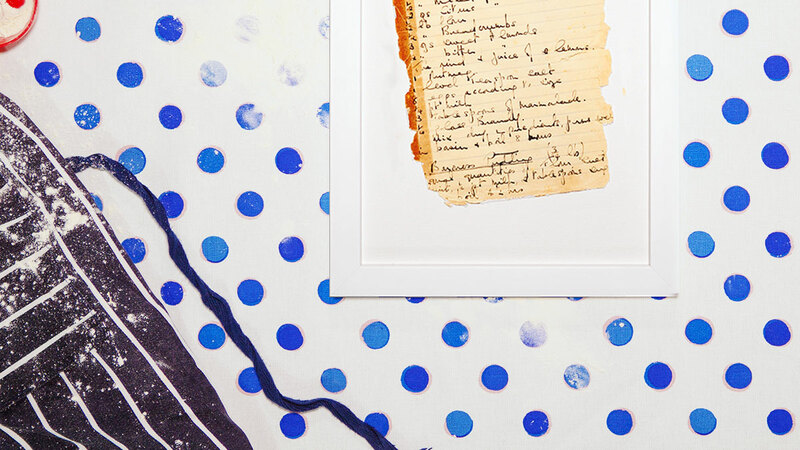 Grab an old school recipe card with a sentimental value to you both and get it framed. It’s a super simple idea, yet one that’s unlikely to replicated by many other people, giving it a little extra credence as a thoughtful gift. Whilst it’s unlikely to worry Picasso, your kids art deserves more than a magnet and your fridge. In fact, it can look super-cool hung in a playroom or bedroom. Be playful yourself and frame it in something equally bright and interesting from our bright frames collection. Maybe mum’s a talented artist or you’ve managed to keep hold of some of her own drawings from Primary School? Now’s the perfect time to surprise your mum by presenting her with her own artwork, framed. Why not grab a postcard from a destination you both visited previously, even better if you have managed to keep an old postcard signed by your mum. If you don’t have an actual postcard, Betsy Benn offer beautiful postcard and travel themed prints. We aren’t suggesting that you go out and buy all the frames and gather all prints for your gallery wall immediately. This can be the beginning of your journey; the starting focal point of the gallery wall you are looking to produce over time. Another plus with this long term gift planning is that it will remain a work in progress… solving gifting dilemmas for quite some time! 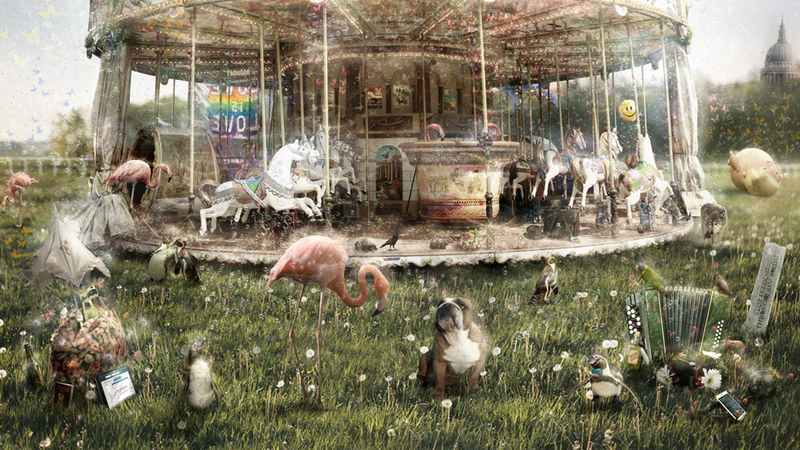 The post Introducing: Mark Davies appeared first on blog. Mixed Media Art is essentially when an artist uses more than one medium to create a piece of art, this varies depending on the skillset of that particular artist. With regards to my skillset, I use a digital base layer which is then printed on to a canvas. This is then worked over and enhanced with oils, acrylics, gilding waxes, paints, micro glitters and even rose petals and feathers which have been distorted and burnt to take on a totally different look and feel. It becomes very engaging, its extremely tactile and something to absorb when viewing the overall piece. Unfortunately, there is still some stigma attached to using Photoshop within art, some continue to believe it’s a bit gimmicky and there is a lot of negativity surrounding the use of airbrushing which is small feature of photoshop work. There are some who don’t take this art form seriously, but the idea within my discipline is to create something in Photoshop that doesn’t look like its been put together within the program, that’s the fundamental challenge! One aspect that can be hard to gauge is knowing when a piece of work is finished, there is always a temptation to keep going, to add one more layer to the canvas. However, with practice and experience you learn when to stop. The last thing you want to do is take away from what else is in the image, you don’t want to lessen the impact of the overall piece. It’s a real labour of love, I sit down and take notes from the film on how I can formulate a narrative and reason for these cars to appear in my work. Even when writing my notes, I don’t let myself get too regimented, as things start to evolve and progress I let my creative thoughts run free and follow their direction. For the “Petrol Heads Collection” Mark would re-watch all of the films and shows in which these cars had appeared. I also love to add hidden details to my work, my hope is that someone notices a tiny detail a year down the line. Only recently, I received a call from a someone who noticed I had placed ET within their artwork, they hadn’t spotted the presence of the Extra Terrestrial for an entire year! 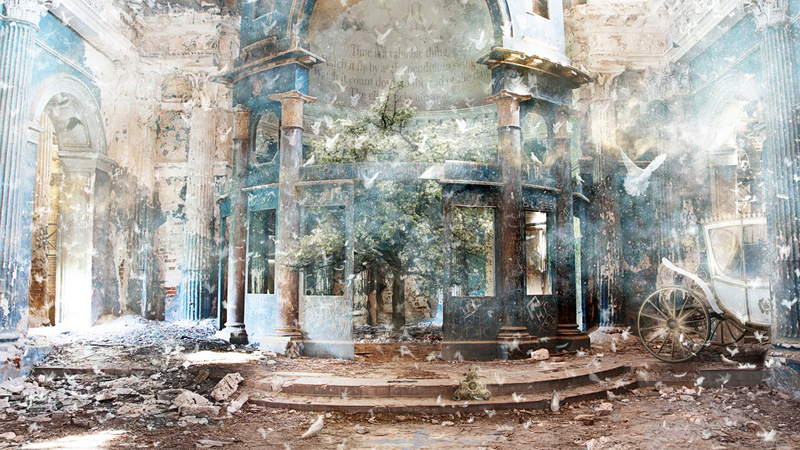 I love that idea of constantly finding something new to look at within an image. I do find that the more involved you get within a piece, the more you realise just how much you love the inspiration behind it. 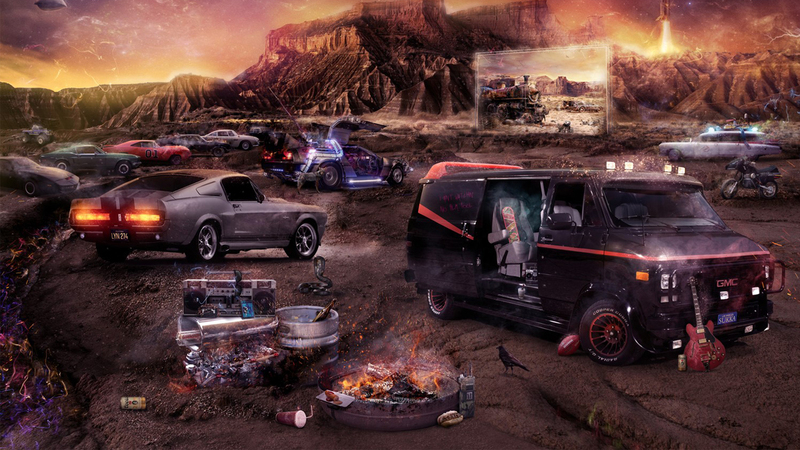 The petrol heads work had allowed me to showcase some of the cars from my favourite movies. There is no doubt in my mind that films in the 1980s were a lot more enjoyable, going to see a film was far more of an occasion when you didn’t have huge marketing campaigns or trailers which spoiled the movie ahead. The cinema was always an experience, it was family time, you were immersed and engrossed alongside your family. It was quality time with one another, it was part of this fantastic upbringing I am privileged to have enjoyed. Nowadays it’s all about sequels, and large marketing campaigns, I can’t help but feel that experience or rather the excitement of the cinema has been lost. I don’t have a particular favourite movie from that era, but of course I loved Back To The Future and the Goonies, but I genuinely enjoyed the majority of those cult films and they have combined to inspire me in the present day. Music is a massively important part of my creative process, I have a particular affinity to the music of the early 2000s, those first few years of the new Millennium heralded the birth of some seriously talented musicians that I still connect with today. I am a big fan of metal, these artists of the early 2000s were so intense, their music really struck a chord with me. I always return to that era, I was in my early 20s and life just seemed much simpler back then, even the soundtracks of films seemed far more epic in scale, everything seems a lot different now. Olafur Arnalds is a great composer who I have a lot of respect for, he was responsible for the music of Broadchurch, a show which really grabbed my attention. There is a piece of music from the show, along with lyrics from Arnor Dan which are simply breathtaking. He is a stunning vocalist and the words from this particular song are haunting, they really stay with you. Music is great for helping keep my thoughts within the narrative of the art I am creating, it can hold me in that place, and keep me on track should my mindset be shifting. It’s not uncommon for me to keep a song on loop for the duration of an entire project, it’s like a comfort blanket, it’s hard to explain but it helps retain my focus and keep the relevant emotions in my head. I love to speak with people at a show and share the music behind the art, the tracks I was listening to as I developed the picture in front of them. I really do believe that the music and art is entwined, it is a reflection of my emotions and my mindset at that time. Believe in your talent, nurture your own style and strive to be different rather than creating work designed to copy or fit in just to make money. You must surround yourself with the right people, it’s such a visual practice, and you can get it wrong, the worst thing you can do is become your own number one fan. You have to listen, whilst at the same time staying true to your vison. It will be hollow and see through if you’re trying to copy from mainstream works. I will only take on a subject if I have a genuine connection with the source material which will allow me to transform it into something authentic. Your art will always stand out for being true, you will gain a following for being real and creating your own recognisable style. Always remember why you got into art, make sure the right people are giving you encouragement and support, be able to accept constructive criticism, but always have confidence in yourself. After all, art is a subjective matter, you will receive plenty of knockbacks, but keep working away; there are great people out there who will help you. Having a commercial understanding is important, you have to be mindful of time constraints and the wider world. The thrill of starting from nothing with no reputation, sales or contacts is incredible, it’s a buzz and a truly rewarding career. You have to keep building, keep learning, keep studying, and see where it takes you. Be open to meandering, go where your heart desires, follow the inspiration wherever it takes you. If you can inspire others with what you do and earn an income, even better. Being independent means I can choose my own concepts to follow, it’s important for me to have that freedom and connection with people. I want to keep creating something with an engaging story behind it, I always insist there should be a narrative within my work to make sure it resonates with those who take the time to view my work. The narrative really depends on where you are in life, it reflects your current mindset, when something happens in my life I process my emotions through my work. I believe Gallery Shows are a marvelous platform to share ideas and connect with one another! You get to discuss your interpretation of art with other people. For example, what one individual may see in a picture can make you think wow! I didn’t read it like that but yes, I totally get it and see where you are coming from, art is all about the discussion. I hear from people who have connected with my work and it inspires me, it’s amazing to know its valued and has spoken to someone. It’s not always about the numbers, it’s about connecting with individuals across the spectrum. When you put something out there, you’re putting yourself on the line. I still get that fear when a new piece of work is released, you’ve thrown everything in to it and then it’s out there to be scrutinized and pulled apart. I also run a successful graphics business, essentially im juggling two full time jobs and I refuse to rush or compromise on either project. Now I’m independent I have new responsibilities such as liasing with galleries and it’s so important to keep networking, but the skills I learned from business stand me in good stead for the new challenges. Art is where I’m most happy, I give 100% to my clients in graphics, but art is always where my heart lies. I am grateful for my time in graphics as it has given me a much greater commercial understanding. Being independent is a time-consuming occupation, there are moments when you realise that you are missing some quality time with your daughter, but art has given me this fantastic platform of providing for my family. The great thing about being independent is the fact that I can see my family more. Last Christmas I managed to shut off completely from art and throw myself into family time. This is the great thing about being independent, it reinforces my decision to go out alone and pursue my art. The heroes I had were the people I saw every day, they were the family members I respected. When I look back now my heroes really reflect what I said earlier about the fantastic upbringing I am privileged to have had, that family unit and support I enjoyed, the encouragement and nurturing of those closest to me. I just respected my parents massively, and even more so now. My grandad was a veteran of the War, whilst my grandma came from Belgium which was deeply affected by the events of WW2. My grandad is still with us, sadly we lost grandma last year, but ill never forget the stories of what they went through. The sacrifices they made and the resolve they had. It was a different world back then, but I have a genuine respect for them. They remain my heroes today. I have always enjoyed drawing, my parents really encouraged me to follow this natural talent and I was always good at it. But its only when you begin school and it starts getting recognised by exam results that you think ok… I have a skill here. I was never that confident growing up, but I could be confident through my art and the world’s I created, it was a way for me to express myself. Even at Sixth Form, I would stand in my garage whilst others were at the pub and I would be drafting the most intense and surreal paintings, it gave me a huge buzz, it increased my confidence, and it’s when I’m at my happiest. My skillset was always drawing and painting, the more traditional arts, which is why I do consider myself a Mixed Media Artist. I created some random pieces during those early development years at school, I wish I still had them to share! There is one memory in particular which I recall fondly, it always makes me smile. I was carrying a 7 foot tall crucifix down the street on my way to upper school… I certainly got some looks from confused passers-by, especially when the wind got up. It was a 3D version of a much smaller drawing I had created. It had been so well received that I went and developed it further, looking back now it was probably the moment which kick-started my career, it was pretty much a life-sized render of Christ and the Crucifix. I now want to return to this type of art, get back to using the brush and utilise my other skills. Working with eFrame has allowed me the freedom to make the transition to an independent artist seamless. When creating an original piece of work it has to be extra special, you have to take it as far as you can. The frame is a crucial component of the finished art, it is an extension of the picture. Choosing the right frame can really enhance the artwork within, and when you’re striving to create the perfect image, you need to have the perfect frame. That’s the really great thing about eFrame, I can always rely on the team to create something truly bespoke, you’re really proactive and suggest frames that I could never dream off, you’re the experts and I trust you entirely. 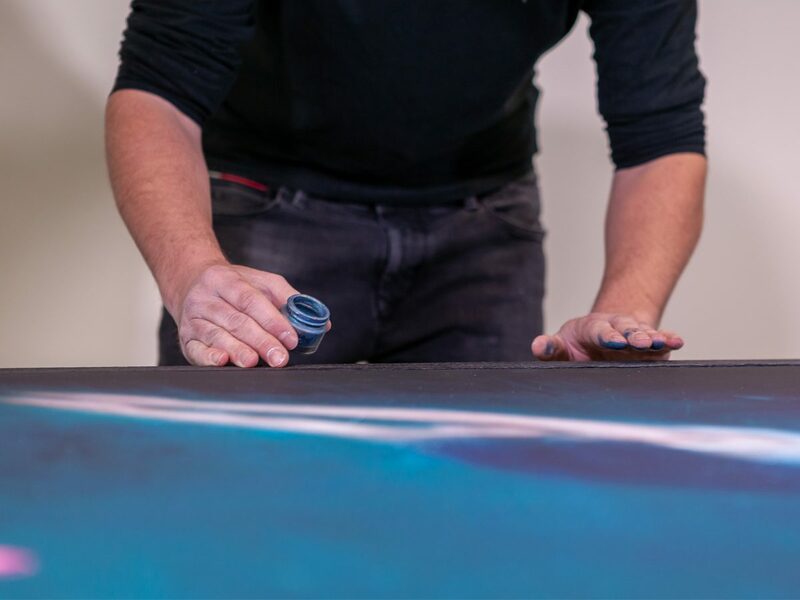 It has allowed me to be confident in the entire process and safe in the knowledge that the areas such as printing, framing and logistics are handled with the same attention to detail that I strive for in my work. Scaling my gallery accounts and production levels is a breeze too. It’s a huge relief to have this looked after by such a competent team who are always there for me. I would never put anything out that isn’t 100% and its great to know that eFrame care just as much as I do about this dedication to quality. Everything eFrame do is highly personal, you really go above and beyond in helping me fulfill my orders. The entire process is a joy, nothing is ever a problem for the team, you’re so proactive and it just works. The scale and quality of the eFrame operation is incredible, this was a crucial consideration for me when I already had established links with a good number of galleries both in the UK and overseas. People can spend a significant amount of money on a piece of art, I couldn’t put anything out to the public that isn’t right as my reputation is extremely important, it’s my livelihood and having eFrame alongside me gives me that freedom to focus on what’s most important, the artwork and design. All the negatives encountered prior to eFrame have been rectified by the service you provide. It doesn’t feel like I’m outsourcing to a supplier, it feels like I’ve gained a hell of a lot more team members. I know eFrame will always be there for me regardless of any query, the quality of production and craftsmanship is mind blowing, it is my responsibility to know that frame is not going to fall apart, everything is just perfect with the set up I have now, I couldn’t be any happier. I am a keen runner, I took part in the marathon last year, but most interestingly I did the Jurassic Coast Challenge. I have spoken about how I experienced a connection with the drama Broadchurch, and they filmed the show on this coastline. Unfortunately, I pulled my tendon whilst I could see the coastline in sight, I managed to get there but it I believe this was because of doing both the marathon and Jurassic challenge in a relatively short space of time. I will be doing the Jurassic challenge again this year, but I’ve opted to give my place in the marathon to a friend as the connection I have with the Jurassic Coastline is special, its where my grandparents are from and I love that part of the world. I also enjoy watching football, my family and I would travel to Luton games and hunt for autographs during my childhood. I still follow Luton but I am a Leeds United supporter… I remember being gifted this iconic Leeds United scarf from my dad, it triggered my love for the club along with the family connections I have up north. Its great being able to go up to Leeds, watch the football and reconnect with these emotions from my childhood and shut off from work, it gives me time to recharge and relax. I’ve planned out the year which is really important as an artist, it’s all about timing. The Spring, Autumn and Winter collections are now thought out, but there will always be ad-hoc pieces that crop up throughout the year, a reaction to something that happens. My recent works have been quite dark, therefore I’m going to try and focus on more uplifting types of content. My emotions and work reflect my current mindset, I want to focus on themes that are much lighter and uplifting without selling out, I wouldn’t be comfortable with that and people see through it. I will continue to mix up my current style with the more intense pieces. I also want to add more painting details to my work as I touched upon earlier, I would like the brush to overtake the digital aspects in 2019. I would also like to continue working on my progress in the States, building upon my breakthrough over there. The last half of 2018 was extremely exciting, so I am looking forward to 2019 and beyond. With so many colours out there, it can be difficult to determine which to choose when you're decorating. Which is why we're delighted to present a run down of our top colours for 2019. Including (most importantly) how to incorporate these colours into your home without spending a fortune. Whether it's through use of framing, paint, art or accessories, we've got some ideas to share. 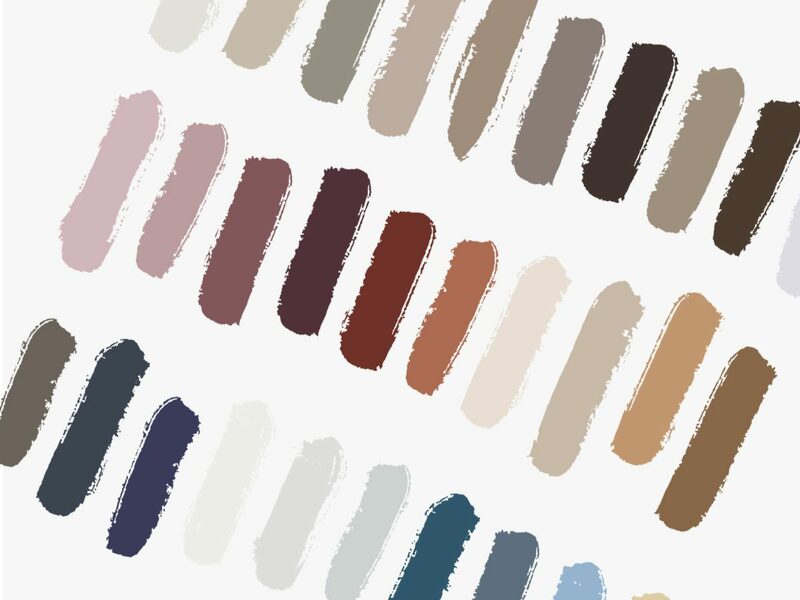 The post Colour Trends 2019 appeared first on blog. In 2019 shades reminiscent of the those found in dirt, moss, trees and rocks will be a popular choice for the home. These earthly colours will help to bring the outside in and with it a warm, homely vibe. We provide a range of frames with a natural wood finish, perfect for jumping aboard this most desirable trend. You may have heard that Coral is Pantone’s 2019 colour of the year, therefore its only natural that this particular shade will form a key part of interior decoration trends over the next 12 months. The pin board below features some stunning examples of artwork which has been created using this beautiful colour. Used wisely, it can really elevate the design pedigree of any given room. Building upon the Earthy Tones above, Dark Green is once more leaning upon this trend of bringing the great outdoors inside, with nature becoming a large part of the home. It can work in any interior environment, blending particularly well with the more neutral tones. This type of colour is essentially a timeless choice, it will age wonderfully within any home. Complement this look with a botanical themed print like these ones from Etsy. Blues have been popular for a few years now, and 2019 promises to continue the trend, albeit featuring those with a softened hue. It’s easy to see why they’re still so popular, with their calming presence that promotes a more serene energy within the home. The colour blue is proven to help promote free thinking, making it the perfect option for a study or creative environment. 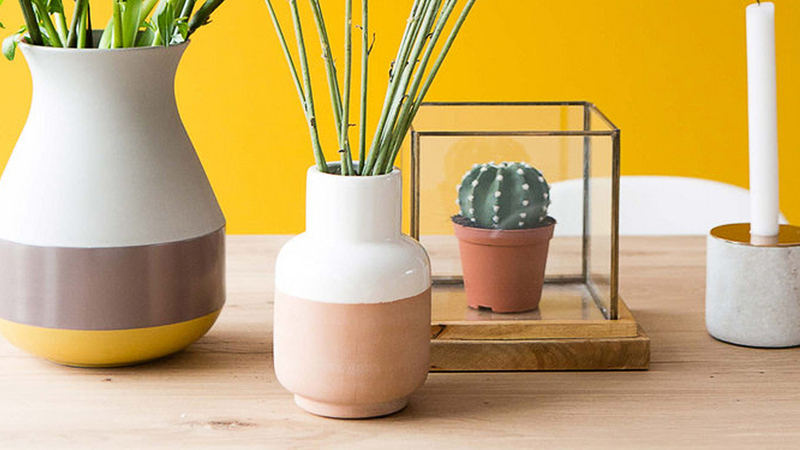 In 2019 colours associated with optimism will become ever more popular, bold yellows and orange tones will start to appear in more aspirational interior designs, inspiring others to follow suit. The rich colour and inviting nature of yellow mixes perfectly with beige and blue colour palettes. Check out a selection of our yellow frames. You may not be ready (or brave enough) to paint your walls in such a bright and bold colour! As an introduction to bolder shades, why not pick up some vibrant interior accessories from somewhere like MADE. Many people are beginning to return to cream after many years of a somewhat grey dominance. Creamy tones inherently suggest simplicity and can be manipulated by experimenting with different types of lighting. White and cream frames work wonderfully with this style and add to the minimalistic experience you are hoping to create. Playful and more extreme colours will prove popular in 2019… think bold lime greens, stunning yellows, heavy orange, and eye catching pink! We have a range of frames which can work with this most exciting interior décor trend! if you are feeling extremely bold our bright frames might be what you’re looking for. One of our bestselling frames is grey, therefore its no surprise to see that this colour of impeccable choice will prove yet another popular colour in 2019. 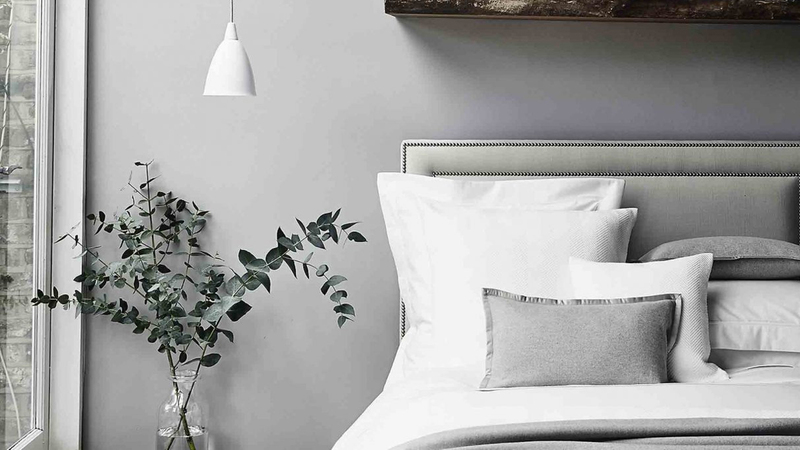 Grey can help promote tranquility within the home. Grey is the perfect neutral. It looks fresh and modern. It goes with every other colour on the wheel. It can be dark and dramatic, or pale and Nordic. It’s perfectly suited to Scandi chic or industrial glamour and will bring a little edge to a chain-store sofa or a hint of urban cool to a buttoned-up Chesterfield. There’s no doubt about it, grey is the shade of the moment. Few designs are more classic than the all white set up to complement your home, admittedly there are a few considerations with regards to keeping white walls clean, especially when you have children. However a white frame choice is simple, and will continue to be popular in 2019 and beyond. Perfect for those desiring a minimalist room which still feels dynamic. Dulux provide a fantastic selection of white shades which will do justice to any home, helping bring your vision of a clutter free existence to life. The colour purple is often associated with royalty, nobility, luxury, power and ambition. It has long been a popular choice in interior design, in 2019 the rich purples will be dialed down in intensity, making this popular colourway all the more versatile within the home. Few designs are more classic than the all white set up to complement your home, admittedly there are a few considerations with regards to keeping white walls clean ith rich purples being dialed down in intensity, making this popular colour way all the more versatile within the home. The 2018 Pantone colour of the year was Ultra Violet, in 2019 this will remain a popular choice for the home. The post Valentines Gifts for Her appeared first on blog.